Home Movies 'Luck At First Sight' opens May 3 in cinemas! 'Luck At First Sight' opens May 3 in cinemas! VIVA Films and N2 Productions bring to the big screen a Joyce Bernal production that pairs off Asian Drama King, Jericho Rosales and Primetime TV Gem, Bela Padilla for the first time. In the movie, Jericho is Joma Labayen, a down-on-his-luck guy who believes that a “life charm” could help make for him a rosy existence despite the drudgery of everyday living. By accident and by some stroke of fate, he meets Diane dela Cruz (Bela), who he thinks is his "life charm." Little did he know that their encounters would lead him to the toughest choice his heart will ever make: luck or love. Diane, however, is no sucker for stories of luck and/or life charms. She is a firm believer of love and how romance sheds light, beauty and happiness to one's being. Their partnership proves lucky enough until they discover that choosing between luck and love can be a tough pick. “Luck at First Sight” is a concept Bela thought about while listening to the radio. “Nasa kotse ako, nakikinig ng conversation ng DJs sa radio. Tapos, naisip ko 'yung title, du’n nabuo ang story. Tungkol siya sa dalawang tao na sinuswerte kapag may physical touch sila. “Ako, gusto ko makapanood ng konting feeling ng magic, parang maniniwala ka uli sa isang bagay na hindi mo nakikita. Sa totoong buhay, naniniwala ako sa swerte, ibang forms lang siguro. “Nu’ng nag-iisip na kami kung sino ang kukuning direktor, sabi namin, dapat si Direk Dan ito. Sobrang galing kasi niya, sobrang ganda ng shots saka gusto naming ma-touch din ang point of view ng lalaki sa pelikula,” Bela explains. As for Direk Dan, working on “Luck at First Sight” made him excited. “Ang difference nito sa mga nagawa ko na, yung dati, rooted on reality, kung ano ang nangyayari sa totoong buhay. Kaya na-excite ako rito kasi may magic element, ‘di realistic. Medyo hyper realistic siya, magical, fantastic,” he says. “First time kong gumawa ng ganito, so minsan, 'yung pagtimpla ng mga eksena, mapapaisip ka, exaggerated na ba 'to, baka masyadong mababaw o matigas. 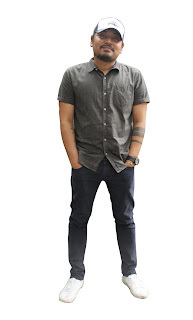 Rom-com siya, pero may magic realism element,” he adds. Will Joma and Diane make the right choice? Will their love story ends in happily ever after? 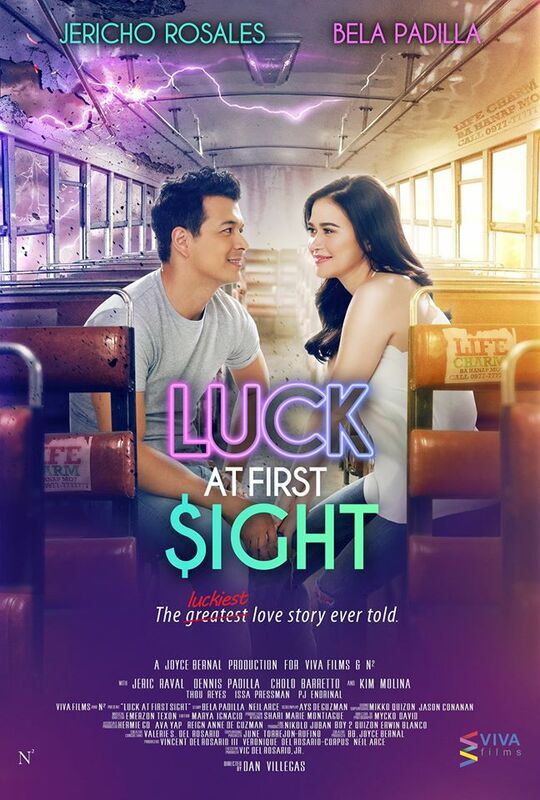 Find out when “Luck at First Sight” casts its magical spell in cinemas nationwide starting May 3, only from VIVA Films and N2 Productions.